Behold the answer to your brunch cocktail question. You're in the mood for a mimosa, but not in the mood for champagne. I guess that means you're in the mood for orange juice? Either way... this guy is rivaling the classic mimosa for me as of late. A couple of our go-to brunch spots in Philly (we're looking at you Jerry's Bar) always have beermosas on the menu, and they are incredibly delicious. Then a couple of Sundays ago, while we were busy in the kitchen I thought we should try making them at home with raspberries. Sierra Nevada makes some of my favorite beers, and the White IPA is no exception. It works great for this beermosa, and if you can find it the Deschutes Chainbreaker IPA is a nice alternative. 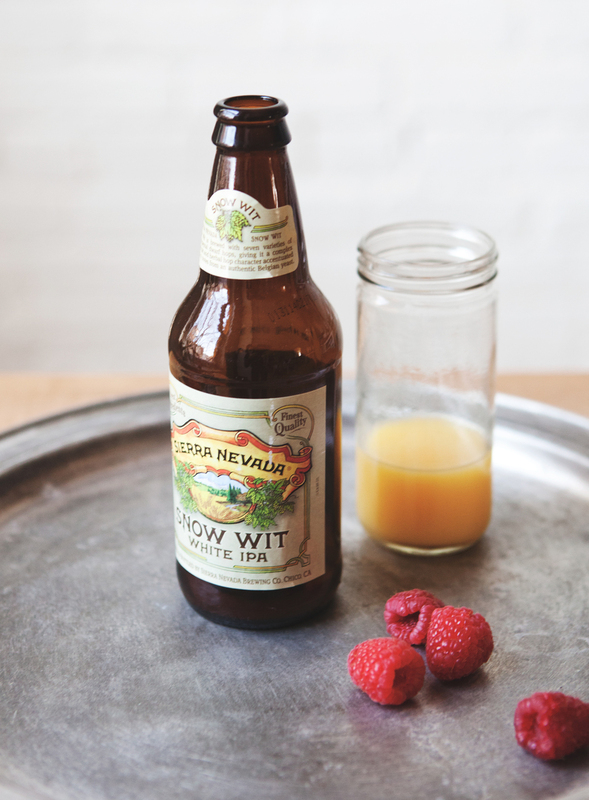 In a large, 22 oz glass, pour beer over muddled raspberries. Top with orange juice.